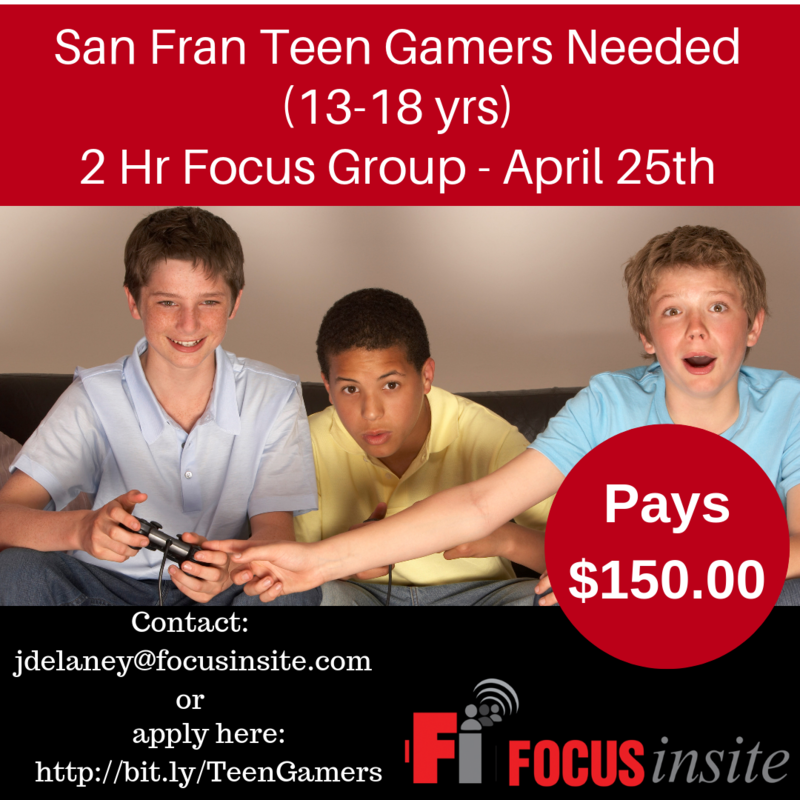 Do you have a teen at home ages 14 to 18 years old? Are you interested in playing video games? We have a study for YOUR TEEN! This pays $150.00 for approximately 2 hours. There is a very short homework assignment as well before the group.